Watch the First Trailer for Red Dwarf X! Smeg-heads, rejoice the first trailer for the highly-anticipated new series of Red Dwarf is here! The popular sci-fi comedy will be back this fall for a six-episode run, complete with original cast members Robert Llewellyn, Craig Charles, Chris Barrie and Danny John-Jules on board. 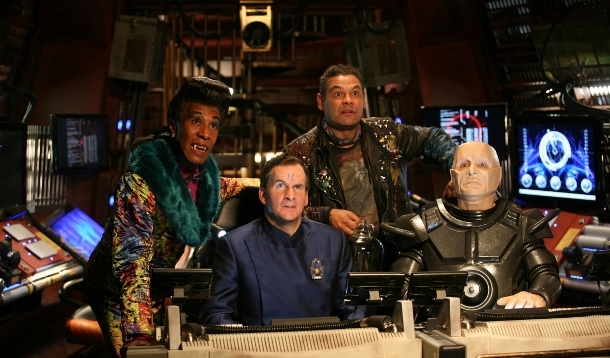 Red Dwarf will air on UK network Dave, which was also behind the comedy’s three-part Back to Earth special that aired in 2009. (Prior to that, the sci-fi seires aired on the BBC.) No word on whether we’ll see this air at some point in the States, but here’s hoping! While this first trailer is a bit on the “short and sweet” side – clocking in at just under a minute – but it’s still got a couple of funny gags, including Lister managing to lose Rimmer in a poker game. Click through and take a look for yourselves – what say you, Red Dwarf lovers? Does this look like the series has still got it? I’m still working my way through Red Dwarf, so I don’t know that I’m entirely prepared to fully judge this yet, though my gut says it looks entertaining. Will be interested to see what others think of it. Cold weather have you stuck inside? 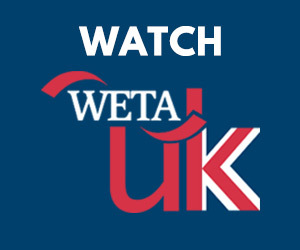 Check out our list of stream-able British sitcoms from the eighties to the present. Jane Austen's final, unfinished manuscript is being adapted for television by PBS and ITV. Get your first look at upcoming period drama "The Miniaturist," headed to Masterpiece in 2018!